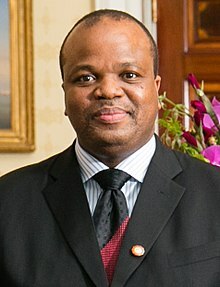 Mswati III (born as Prince Makhosetive on 19 April 1968) is the King of Eswatini and head of the Swazi Royal Family. He was born in Manzini, Eswatini, to King Sobhuza II. This page was last changed on 6 March 2019, at 18:08.